This model is 178 cm and wears a size M. Their chest measures 104 cm and the waist 74 cm. Keep your cool through the toughest WOD. 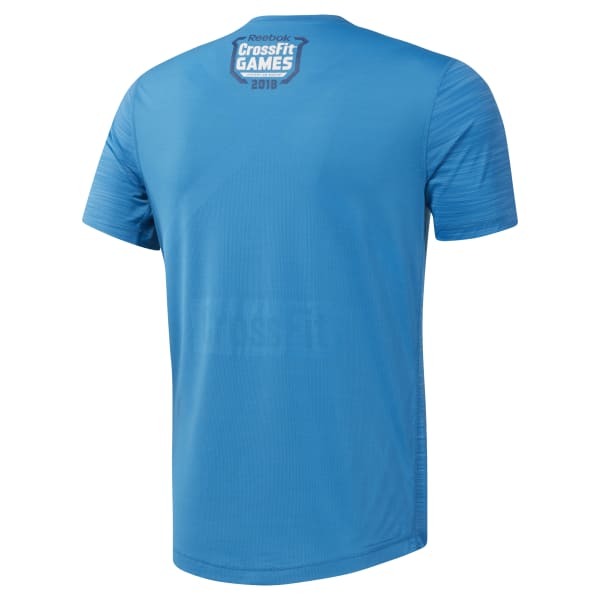 This men's CrossFit T-shirt features ACTIVCHILL technology to aid ventilation and control your body temp when the workout pushes your limits. You'll love the classic crew neckline and callout to the CrossFit Games for easy style.